When the People occupy the square, walk in the park. When the People occupy the park, walk in the square. An event is not an Event if one can choose to participate or not participate. The only ethical choice is refusing to go to war, a refusal that takes on ethical significance only when one no longer has a choice and is faced, for the first time, with the question of honor. There is guilt in choice. There is regret in taking the wrong path. But there is no not taking a path. "...in world history, the outcome of human actions is something other than what the agents aim at and actually achieve, something other than what they immediately know and will. They fulfill their own interests, but something further is thereby brought into being, something that is inwardly involved in what they do but which was not in their consciousness or part of their intention." 1. The narrative of the occupation protests – the 99% rebelling against the undue influences or excesses of the 1% – expresses a troubling logic of externalisation: the world is ruled by an elite who control wealth, start wars, begin and end crises, and so on. There is a range of practical conclusions to draw from this logic. The social democratic or liberal conclusion is to regulate or tax the elite, the socialist or technocratic conclusion is the replacement of the elite with a rational state body representing the masses, the conservative conclusion is a return to past forms of monetary policy and racial community, and the anarchist conclusion is roughly, off with their heads. Proponents of all four conclusions would rightly insist their ideas are more nuanced than this, of course. They are all equally sensible, if one accepts their shared premise. These four conclusions are present in the occupations, along with other variations on the same themes. 2. I am not concerned with the competing political positions but their shared premise of an externalised enemy: their understanding of society – and the current crop of wars and economic downturns particularly – as existing due to the mismanagement or nefariousness of an elite. In the language of the occupations (the genealogy of which is obscure), this elite is called the 1%. From the beginning of the occupation protests in New York, the 1% has been identified with financial capital: bankers, financiers, the Federal Reserve, and so on. While the mood and politics of the occupy protests are different city to city, they are united in their shared logic of protest or rebellion against the financial elite. 3. The conspiratorial worldview that places power in the hands of a financial elite, who are blamed for all the problems in society, is an expression of anti-semitism. The language and style has changed, but the worldview expressed today by Occupy Wall Street leader David Graeber when he says the economic crisis was caused by the financial elite is no different than the fascist and Stalinist declarations about Jewish Bankers in the 1930's. Most of the occupy demonstrations have not demonized Jews directly; instead, they express an unconscious or structural anti-semitism that stops just before naming who the elite are. It is not enough to answer the question who is this financial elite that rules the world? by saying not the Jews! Centuries of accumulated ideology have already provided the answer, and multicultural politeness cannot make that answer go away. The question itself has to be rejected. 4. When Occupy LA protester Patricia McAllister said to television journalists, the Zionist Jews who are running these big banks and our federal reserve – which is not run by the federal government – they need to be run out of this country, she was repulsive rather than absurd or negligible because she expressed the unconscious desire of the protests; she named the elite that other protesters have been too polite to name. Perhaps it is this same politeness that prevents occupy protesters from mentioning the tent protests in Israel, while they have no trouble lauding protests in Spain or Egypt. 5. An alternative explanation of the world: wealth controls people rather than the other way around. The world is too complex to be ruled. The problem is the environment and not the inhabitants. Society is reproduced by us, not the machinations of an elite. Capitalism is us, ‘we’ produce it. Therefore, capitalism’s abolition requires our transformation, and not theirs. There are plenty of clothes but no emperor. 6. The problem of anti-semitism is not the fault of the protesters, anymore than the economy is the fault of employees of banks: the logic of externalisation that appears here as anti-semitism may be an essential component of any revolt, including, paradoxically, revolt against anti-semitism. The structure of revolt is a fight against external authority, and those participating in a revolt will ultimately pose the question who are we revolting against? This question appears as the limit or barrier of revolt. The forms revolt uses to overcome this barrier – mass violence, internal purges, dissolution, etc – bring back the old cliché about becoming what you were fighting against. To go a step further, those fighting were never anything else. The logic of externalisation prevents any honest account of oneself. At the occupy protest in Glasgow, a pregnant woman was raped in her tent, and the response by the occupiers was to deny that both the woman and her attackers were actually part of the occupation. When a woman reported being raped at the Philadelphia occupation, she was denounced by other occupiers as a drug addict and liar. It is not a coincidence that the response to internal horror has been blaming external forces. 7. A modest therapeutic proposal: rather than constantly deny anti-semitism in the occupation protests or externalise the problem of anti-semitism to the work of a minority at the fringes (a denial that leaves unanalyzed why conscious anti-semites keep showing up to the protests in the first place), it would be better for the occupiers to say yes, we are anti-semitic, but we do not want to be. This therapeutic dissolution, forcing the structure of externalising revolt to contemplate itself, would bring forth the possibility of something more virtuous: revolt against ourselves. 8. When the People occupy the square, walk in the park. When the People occupy the park, walk in the square. An event is not an Event if one can choose to participate or not participate. The only ethical choice is refusing to go to war, a refusal that takes on ethical significance only when one no longer has a choice and is faced, for the first time, with the question of honor. There is guilt in choice. There is regret in taking the wrong path. But there is no not taking a path. 9. In the Torah, Noah's son Ham enters his father's tent and sees his father's nakedness. In the Midrash it's written that Ham assaults or castrates his father. 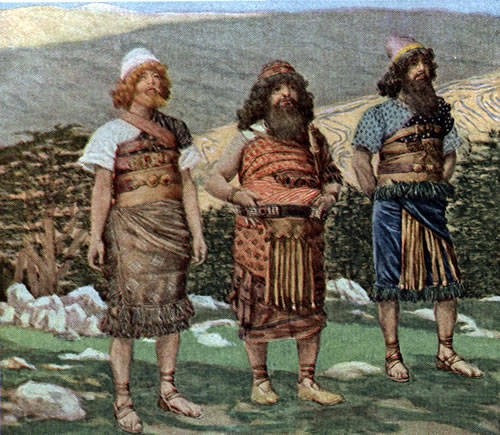 The other sons, Shem and Japheth, enter the tent to cover their father with a cloak without seeing his nakedness. Have I entered the occupation and seen its nakedness? Have I come to castrate rather than offer a cloak? And Noah awoke from his wine, and knew what his youngest son had done unto him. There is guilt in choice. And their faces were backward, and they saw not their father's nakedness. There is regret in taking the wrong path. A servant of servants shall he be unto his brethren. But there is no not taking a path. Than a hare paused amid the gorse and trembling bellflowers and said its prayers to the rainbow through the spider's web. Oh the precious stones that were hiding, - the flowers that were already peeking out. Stalls were erected in the dirty main street, and boats were towed toward the sea, which rose in layers above as in old engravings. Blood flowed in Bluebeard's house, - in the slaughterhouses, - in the amphitheaters, where God's seal turned the windows livid. Blood and milk flowed. This article makes the classical Eurocentric and essentialist mistake of equating terms like elite, cabal or financier with the term Jew. This relationship, for anyone with horizons broader than Europe and it's colonial off-shoots is obviously contingent, not inherent. In other parts of the world the same role in played by ethnic Chinese, Copts and so on. Because of the Eurocentric point of view of the author, they have not looked at the actual mechanisms involved here. Why do people think in terms of powerful, sometimes shadowy, elites rather than broader social relations? Why is this perceived elite sometimes associated with a particular ethnic group? Answering these questions is surely far more important than making rather mystical claims about 'structural anti-semitism'. What's more, the use of the term anti-semitism here is irresponsible because: it needlessly alienates people who could be addressed on the level of friendly criticism of their lack of broader analysis; it reduces the force of the term when applied to actual anti-semitism, the conscious kind that creates real violence and marginalisation; and because if the whole movement is treated as anti-semitic then how do you combat explicit anti-semitism within it? You're left with just calling it a symptom of the supposed structural anti-semitism of the rest of the movement to which your advice must therefore be what? Cease to exist? P.S. some info about authorship would be nice. I'm assuming the author is letterjournal, as this is kind of their shtick (anti-semitismon the left). God this article is such garbage. Well, most of it is not to my taste, either, at least the form of religious bits. Perhaps this underestimates the power of the ruling class, but it seems to me that 'our transformation' is the key to change, both as individuals and in our social relationships, the changes in either then reinforcing changes in the other. What do you think, tastybrain? I suppose there is something there. It is true that "wealth controls people not the other way around" and "the problem is the machine". LettersJournals' idiotic assumption that the entire Occupy movement was anti-semetic through and through simply because of one person's ravings and the generally populist rhetoric was my main problem.